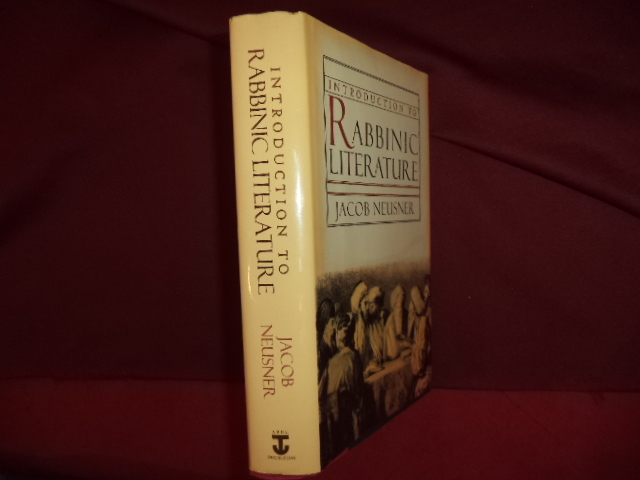 Neusner, Jacob. The Glory of God in Intelligence. Four Lectures on the Role of Intellect in Judaism (Mormon). Salt Lake City. Religious Studies Center. 1979. 68 pps. Octavo. Hardcover. Second edition. Fine copy in fine dust jacket (in mylar). Nevell, Richard. A Time to Dance. American Country Dancing. From Hornpipes to Hot Hash. New York. St. Martin's Press. 1977. Octavo. Soft cover. First edition. Illustrated. Near fine copy (very light shelf wear). New, Jennifer. Dan Eldon. The Art of New. San Francisco. Chronicle. 2001. 4to. Hard cover. First edition. Illustrated in black, white and color. Fine copy in fine dust jacket (in mylar). Newbound, Betty. Blue Ridge Dinnerware. Southern Potteries Inc. An Illustrated Value Guide. Paducah. Collector Books. 1989. 160 pps. 4to. Soft cover. First edition. Illustrated in color and black & white. Fine copy. Newbound, Betty. Blue Ridge Dinnerware. Southern Potteries Inc. An Illustrated Value Guide. Paducah. Collector Books. 1984. 160 pps. 4to. Soft cover. First edition. Illustrated in color and black & white. Fine copy. Newby, P.H. The Egypt Story. Its Art, Its Monuments, Its People, Its History. New York. Abbeville Press. 1978. 4to. Hard cover. First edition. Illustrated in black, white and color. Related material laid in. Fine copy in fine dust jacket (in mylar). Newby, Robert. Your Struggling Child. A Guide to Diagnosing, Understanding, & Advocating for Your Child with Learning, Behavior or Emotional Problems. New York. Collins. 2006. Octavo. Hard cover. First edition. Fine copy in fine dust jacket (in mylar). Newell, Lavone. Skagit Valley Fare. Inscribed by the author. A Cookbook Celebrating Bounty and Beauty in the Pacific Northwest. Anacortes. Island Pub. 1996. Octavo. Soft cover. First edition. Fine copy. Newman, Karoline et al. A Century of Lingerie. Icons of Style in the 20th Century. Photo available. Edison. Chartwell. 1997. 144 pps. 4to. Hardcover. First edition. Illustrated in black, white and color. Important reference work. Fine copy. Newman, Louis I. The Jewish People, Faith and Life. A Guide Book and Manual of Information Concerning Jewry and Judaism. New York. Bloch. 1965. 277 pps. 4to. Hardcover. First edition. Fine copy in near fine (light shelf wear) dust jacket (in mylar). Newman, Patty w/ Joyce Wenger. Pass the Poverty Please. np. Constructive Action. 1966. 190 pps. Octavo. Soft cover. Near fine copy (very light shelf wear). Newman, Paul and A.E. Hotchner. Shameless Exploitation. In Pursuit of the Common Good. The Madcap Business Adventure by the Truly Oddest Couple. New York. Doubleday. 2003. Octavo. Hard cover. First edition. Illustrated. Fine copy in fine dust jacket (in mylar). Newman, Paul. Newman's Own Cookbook. Photo available. New York. Simon and Schuster. 1998. Octavo. Hard cover. First edition. Illustrated. Fine copy in fine dust jacket (in mylar). Newman, Peter. King of the Castle. The Making of a Dynasty: Seagram's and the Bronfman Empire. New York. Athenium. 1979. 304 pps. Octavo. Hardcover. First edition. Fine copy in near fine (very light shelf wear) dust jacket (in mylar). Newman, Peter. King of the Castle. The Making of a Dynasty: Seagram's and the Bronfman Empire. New York. Athenium. 1979. 304 pps. Octavo. Hardcover. First edition. Important reference work. Fine copy in near fine (very light shelf wear) dust jacket (in mylar). Newman, Renee. Diamond Ring Buying Guide. How to Evaluate, Identify and Select Diamonds & Diamond Jewelry. Los Angeles. International Jewelry Publications. 2003. Octavo. Soft cover. Reprint. Illustrated in black, white and color. Fine copy (owner notes on end paper) on end paper. Newman, Renee. The Diamond Ring Buying Guide. How to Spot Value & Avoid Ripoffs. Los Angeles. International Jewelry Publications. 1994. 160 pps. Octavo. Soft cover. Fourth edition. Illustrated in color and black & white. Fine copy (owner name inside front cover). Newman, Renee. The Pearl Buying Guide. Los Angeles. International Jewelry Publications. 1992. 189 pps. Octavo. Soft cover. Second edition. Illustrated in color and black & white. Fine copy (owner name inside front cover). Newman, Renee. 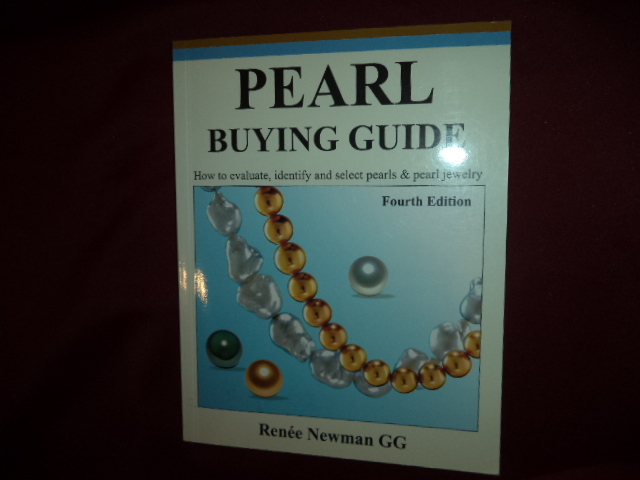 The Pearl Buying Guide. How to Evaluate, Identify and Select Pearls & Pearl Jewelry. Photo available. Los Angeles. International Jewelry Publications. 2004. 157 pps. Octavo. Soft cover. Fourth edition. Illustrated in color and black & white. Important reference work. Fine copy. Newman, Renee. The Ruby & Sapphire Buying Guide. How to Spot Value & Avoid Ripoffs. Los Angeles. International Jewelry Publications. 1991. 204 pps. Octavo. Soft cover. Second edition. Illustrated in color and black & white. Fine copy (owner name inside front cover). 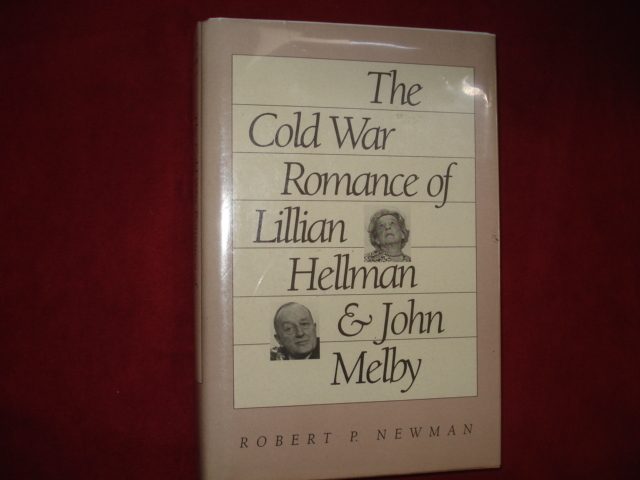 Newman, Robert P. The Cold War Romance of Lillian Hellman & John Melby. Photo available. Chapel Hill. University of North Carolina Press. 1989. Octavo. Hard cover. First edition. Fine copy in fine dust jacket (in mylar). Newman, Thelma. The Complete Book of Making Miniatures for Room Settings and Dollhouses. New York. Crown Publishers. 1976. 4to. Soft cover. Reprint. Illustrated in color and black & white. Fine copy. Newman, Thelma. The Complete Book of Making Miniatures for Room Settings and Dollhouses. New York. Crown Publishers. 1975. 4to. Soft cover. Reprint. Illustrated in color and black & white. Fine copy in very good (light shelf wear) dust jacket (in mylar).